I.Anderson (2), S.Milligan (2), B.Longcake, R.McGuffie. 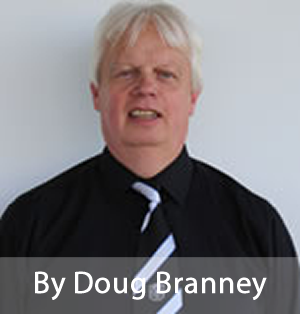 Stuart Rome’s team provided another feast of goals at Raydale when they entertained Lowland opponents Preston Athletic. After a tentative start the home side began to dominate with Longcake, Anderson and Milligan in menacing mood. The visitors did bring out an excellent save from Gretna keeper Graham Wright but the majority of the goalkeeping was at the other end where Gilbertson was trying to keep out the deadly strike force. Alan Inglis went close with a free kick in the 10th. minute but his shot just cleared Gilbertson’s crossbar. Scott Milligan saw his goal bound shot blocked by Gibson’s outstretched leg as the home side pushed for the opener. In the 15th.minute Anderson ran onto a Jonny Blake cross at the back post but Gilbertson was able to gather the big centre forwards header on the line. A piece of Longcake magic down the left wing where he beat three Athletic defenders before cutting inside but unfortunately firing his shot just over the bar. Longcake set off on an other run this time picking out Connor Graham at the back post but Graham’s header was straight into Gilbertson’s arms. On a break upfield Athletic’s Sean Martin brought out an excellent save from Graham Wright with the scores still level. Rome had to make his first substitution after Darren Addison picked up a groin strain following a collision, on came Joe Slattery in the 25th. minute. Gretna went close again when Milligan fired over from 20 yards, minutes later the goal Gretna’s play deserved came after Adam Mains’s shot was turned into the net by Anderson at the back post from within the six yard box, 1-0 after 34 minutes. After an Athletic move down the right wing broke down, Longcake intercepted a pass on the edge of his own area and unleashed a tremendous 70 yard diagonal through ball to Milligan who set off into the Athletic area where he collided with the onrushing Gilbertson and the ball broke clear. Preston were again caught by a killer pass from Longcake from deep in the home half of the field. Anderson made off down the left where he beat Todd then eluded the attentions of Gilbertson before having just enough to slide the ball into the empty net from the tightest of angles, 2-0 in the 44th.minute. Preston got the second half underway but soon found themselves defending when Longcake ran down the left and fired in a shot from 30yards. A foul on Slattery by Henderson on the left of the penalty box gave Gretna a chance to add to the scoring but Inglis free kick was easily gathered by Gilbertson. On the hour mark Brandon Longcake made it three when he broke through into the box when Inglis launched a long ball and Longcake calmly beat Gilbertson at the near post with a delicate chip, 3-0. Preston heads went down and defeat was now inevitable with Gretna in such a dominating mood. The home side didn't sit back on their lead as Milligan hammered the ball into the net after Gilbertson failed to hold a Slattery drive in the 63rd.minute, 4-0. Goal number five was a goal of high quality, Slattery broke into the area and his close range shot was blocked by Bruce and went behind for a corner. Slattery took the resultant kick which was headed clear but only to Graham on the far side of the box. Graham duly returned the cross field ball to Slattery who picked out McGuffie just inside of the area, his first time shot rocketed into the net beyond the bewildered Preston defence, 5-0 in the 70th.minute. Scott Milligan scored his second and Gretna's sixth after good interplay between Connor Graham and Iain Anderson who unselfishly put Milligan in for the simplest of strikes in the 74th.minute, 6-0. Rome made substitutions Robson Halliday and Daniel Graham for the hard working pair Jonny Blake and Connor Graham. Gretna finished the game with a "clean sheet" thanks mainly to their defensive line-up of Wright, McGuffie Inglis, Thorburn and Blake. G.Wright, J.Blake, G.Thorburn, R.McGuffie, A.Inglis, D.Addison, B.Longcake, A.Main, I.Anderson, S.Milligan, C.Graham. Subs : R.Halliday, D.Graham, J.Slattery, D.Rea, D.Renyard, S.Rudd, N.Cassidy. J.Gilbertson, L.Todd, J.Bruce, S.Gibson, R.Ramsay, C.Cairney, A.Scott, A.Roy, S.Martin, M.Osbourne, L.Henderson. Subs : M.Stewart, C.Pennycuick, D.O’Hara, J.Thomson, T.Aitchison, R.Strachan.J.Strachan. 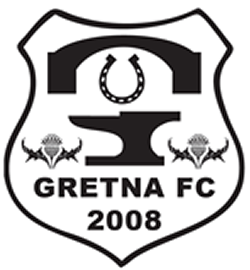 Gretna FC (2008) 11 Dumfries Y.M.C.A.